This structure opened in 1909 (with additions in 1912 and 1952) and was named for Col. James E. Mitchell, a prominent Arkansan in the late 19th and early 20th centuries. The building was designed by Charles Thompson and built by W.B. Stewart. It underwent an extensive renovation and restoration in 1980. In 2003 Mitchell students were relocated to other schools to allow for a major building refurbishment. 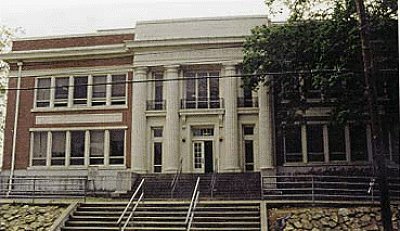 Mitchell closed its doors at the end of the 2004-05 school year. James E. Mitchell served as an officer in the Civil War, then was a professor at the Arkansas Agricultural and Industrial University [now the University of Arkansas] at Fayetteville and then became an editorial writer for the Arkansas Gazette. In September 1878 Mitchell and his partner General W.D. Blocher, former owner of the Gazette, bought the Arkansas Democrat. Mitchell served as publisher of this newspaper until his death in 1902.